Are you planning your next meeting or event? 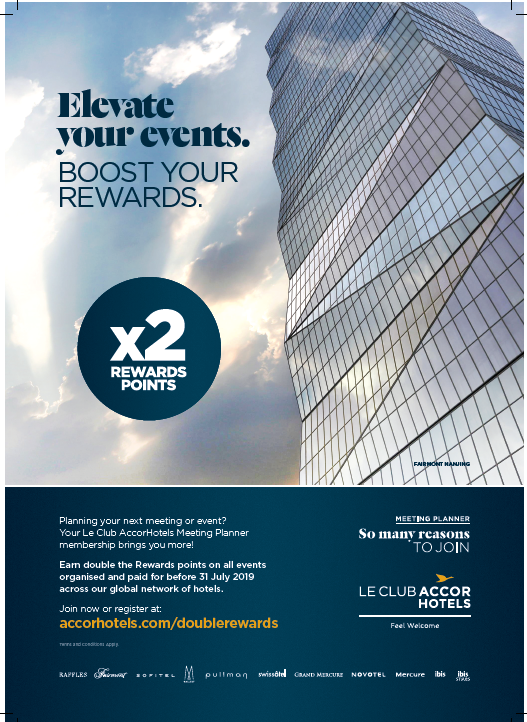 Your Le Club AccorHotels Meeting Planner membership brings you more! Let’s elevate your event, boost your rewards. Earn double the Rewards points on all events organised and paid for before 31 July 2019 across our global network of hotels. – Sign in as a Le Club AccorHotels Meeting Planner member Or become a member of the Le Club AccorHotels Meeting Planner by clicking here. – Receive your Rewards points every month following payment for the event. – Make a donation to a charity close to your heart. What are you waiting for? Double your Rewards points today!